John Richard Jefferies (6 November 1848 - 14 August 1887) was a British novelist and essayist who helped pioneer the field of modern nature writing. Jefferies described the English countryside with an intimate vividness and expansive passion that inspired both his contemporaries and later writers. Terry Tempest Williams is the author of fourteen books including Refuge: An Unnatural History of Family and Place, and most recently, When Women Were Birds. Recipient of John Simon Guggenheim and Lannan Literary Fellowships in creative nonfiction, she is the Annie Clark Tanner scholar in the Environmental Humanities Graduate Program at the University of Utah. Her work has been anthologized and translated world-wide. Brooke Williams has spent thirty years advocating for wildness, most recently with the Southern Utah Wilderness Alliance and as the Executive Director of the Murie Center in Moose, Wyoming. He holds an MBA in Sustainable Business from the Bainbridge Graduate Institute and a Biology degree from the University of Utah. He's written four books including Halflives: Reconciling Work and Wildness, and dozens of articles. He is involved in The Great West Institute, a think tank exploring expansion and innovation in the conservation movement and is currently working on a book about ground-truthing. Brooke and Terry have been married since 1975. They live with their dogs in Jackson, Wyoming, and Castle Valley, Utah. "I am leaving you all my journals, but you must promise me you won’t look at them until after I’m gone." This is what Terry Tempest Williams’s mother, the matriarch of a large Mormon clan in northern Utah, told her a week before she died. It was a shock to Williams to discover that her mother had kept journals. But not as much of a shock as it was to discover that the three shelves of journals were all blank. In fifty-four short chapters, Williams recounts memories of her mother, ponders her own faith, and contemplates the notion of absence and presence art and in our world. When Women Were Birds is a carefully crafted kaleidoscope that keeps turning around the question: What does it mean to have a voice? "A lyrical, timeless book that rewards quiet, attentive reading—a rare thing." -The Huffington Post Join us to meet award-winning author, Terry Tempest Williams, hear her read from this beautiful book of essays and get your books signed. As always, Longfellow Books events are free and open to the public. 5PM SATURDAY, MARCH 16 Terry Tempest Williams: When Women Were Birds ﻿Legendary conservationist and award-winning author Terry Tempest Williams presents her new book When Women Were Birds: Fifty-Four Variations on Voice. "I am leaving you all my journals, but you must promise me you won't look at them until after I'm gone," said Terry Tempest Williams's mother, the matriarch of a large Mormon clan in northern Utah, a week before she died. It was a shock to Williams to discover that her mother had kept journals. But not as much of a shock as it was to discover that the three shelves of journals were all blank. In fifty-four short chapters, Williams recounts memories of her mother, ponders her own faith, and contemplates the notion of absence and presence in art and in our world. When Women Were Birds asks - what does it mean to have a voice? EVENT DETAILS Event ticket (admits two) is free when you purchase When Women Were Birds from Changing Hands Bookstore. Letter groups (printed on top of ticket) will be called at 4pm to fill seats and designated standing room. If available, seating and standing room opens to those without tickets at 4:45pm. Space cannot be guaranteed for late arrivals. Booksigning line forms by assigned letter group after the presentation. Those without tickets may get their books signed after ticket-holders, if time allows. Event details may be subject to unannounced changes. ABOUT THE AUTHOR Terry Tempest Williams is the award-winning author of Finding Beauty in a Broken World, The Open Space of Democracy, An Unspoken Hunger, Leap, and Red: Passion and Patience in the Desert. She is also a conservationist and activist who has testified before Congress on women's health, protested with Code Pink, and been a guest of the White House. She is a recipent of the Robert Marshall Award from The Wildnerness Society, a Distinguished Achievement Award from the Western American Literature Association, a Wallace Stegner Award, and a Guggenheim Fellowship in creative non-fiction She lives in Castle Valley, Utah but makes annual trips to Maine. Released in hardcover in April of last year, When Women Were Birds appeared on many of 2012's "Best Book of the Year" lists and was hailed as "brilliant, meditative, and full of surprises, wisdom and wonder" by Anne Lamott, bestselling author of Imperfect Birds. When Terry Tempest Williams’s mother told her, “I am leaving you all my journals, but you must promise me you won’t look at them until after I’m gone,” she was shocked to learn that her mother had kept journals. But not as much of a shock as what she found when the time came to open them, because they were all blank.When Women Were Birds is a lyrical and caring meditation on the mystery of her mother's action, ultimately turning around the question, “What does it mean to have a voice?” Terry Tempest Williams is the author of fourteen books, including Refuge, Leap, The Open Space of Democracy, and, most recently, Finding Beauty in a Broken World. The recipient of a John Simon Guggenheim Memorial Fellowship and a Lannan Literary Fellowship in creative nonfiction, she divides her time between Castle Valley, Utah, and Moose, Wyoming. Terry Tempest Williams discusses "When Women Were Birds"
The beloved author of Refuge returns with a work that explodes and startles, illuminates and celebrates. Terry Tempest Williams is the award-winning author of fourteen books, including Leap, An Unspoken Hunger, Refuge, and Finding Beauty in a Broken World. She divides her time between Castle Valley, Utah, and Moose, Wyoming. A performance of Wild Mercy, by Emmy Award-winning St Paul composer Steve Heitzeg, will kick off this spring’s reading by Terry Tempest Williams. Steve Heitzeg’s Wild Mercy--a setting of Terry Tempest Williams’ poem of the same name, written in honor of the Arctic National Wildlife Refuge--is the third movement from his song cycle Wild Songs for soprano and two percussionists. Wild Songs was commissioned by The Schubert Club in honor of its 125th anniversary, as part of the Wild Music Exhibition at the Science Museum of Minnesota in 2007. Scored for soprano, Yupik frame drum and two Beluga whale jawbones, the austere Wild Mercy is a plea to preserve the ANWR and nature. The instruments used are from that region, including two Beluga whale jawbones from a stranded whale which are on loan from the National Oceanic Atmospheric Administration and the National Marine Fisheries Service. “It is an honor to set these powerful and prophetic words of Terry Tempest Williams to music,” says Heitzeg. “Her vision and commitment to the environment is inspiring.” Performing Wild Mercy will be the acclaimed soprano Polly Butler Cornelius, and renowned percussionists Heather Barringer and Erik Barsness. Polly Butler Cornelius teaches at Elon University in North Carolina. She is no stranger to the international stage and performs frequently in Italy and at major venues across the U.S. She is in demand as a soloist for opera, oratorio and song recital, where she specializes in new music by living composers. Heather Barringer is an innovative percussionist and artistic co-director of the groundbreaking new music ensemble Zeitgeist. Erik Barsness is a prolific percussionist and co-director of the contemporary music group Ensemble 61. Emmy Award-winning composer Steve Heitzeg is recognized for his evocative and lyrical scores written in support of social and environmental justice issues. His music is performed by leading orchestras and ensembles, and conductors from Marin Alsop to Osmo Vänskä have conducted his works. 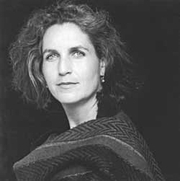 Heitzeg has set other works of Terry Tempest Williams including most recently her I Pray to the Birds, commissioned by Beth and Nate Kellar Long and premiered by the Minnesota Chorale (Kathy Saltzman Romey, Artistic Director) in 2010. A Kansas City Star Best Book of the Year "Brilliant, meditative, and full of surprises, wisdom, and wonder. "—Ann Lamott, author of Imperfect Birds "I am leaving you all my journals, but you must promise me you won’t look at them until after I’m gone." This is what Terry Tempest Williams’s mother, the matriarch of a large Mormon clan in northern Utah, told her a week before she died. It was a shock to Williams to discover that her mother had kept journals. But not as much of a shock as it was to discover that the three shelves of journals were all blank. In fifty-four short chapters, Williams recounts memories of her mother, ponders her own faith, and contemplates the notion of absence and presence in art and in our world. When Women Were Birds is a carefully crafted kaleidoscope that keeps turning around the question: What does it mean to have a voice? About the Author Terry Tempest Williams is the award-winning author of fourteen books, including Leap, An Unspoken Hunger, Refuge, and, most recently, Finding Beauty in a Broken World. She divides her time between Castle Valley, Utah, and Moose, Wyoming. In the spring of 1983 Terry Tempest Williams learned that her mother was dying of cancer. That same season, The Great Salt Lake began to rise to record heights, threatening the herons, owls, and snowy egrets that Williams, a poet and naturalist, had come to gauge her life by. We could not be more thrilled to be inviting Terry Tempest Williams back to Durango for an event in celebration of her new book When Women Were Birds, a lyrical meditation on death, motherhood, the natural world and voice that will stop you in your tracks with its powerful beauty. This event will take place at the Durango Arts Center, so we can accomodate a larger crowd. THIS EVENT IS NOW SOLD OUT AND TICKETS WILL NOT BE AVAILABLE AT THE DOOR. Doors and cash bar open at 6:00. Book signing to follow presentation. Terry Tempest Williams is currently considered a "single author." If one or more works are by a distinct, homonymous authors, go ahead and split the author. Terry Tempest Williams is composed of 4 names. You can examine and separate out names.